For those of you who do not know what the Princess Project is, it’s a non-profit organization that collects donated prom dresses and accessories to give away to high school aged girls who would not otherwise be able to afford a prom dress. The dresses and accessories are donated both by the public, like yourself, and from retailers. 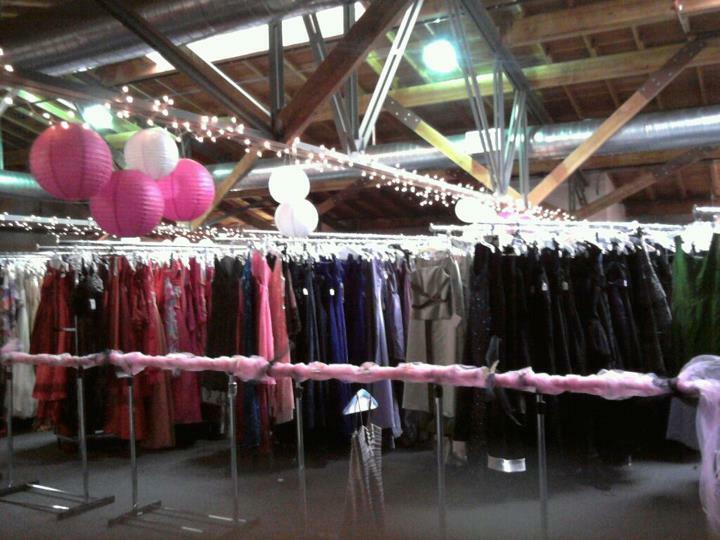 There are two weekends in March where the girls can come and “shop” for their prom dresses with the help of volunteer shoppers. 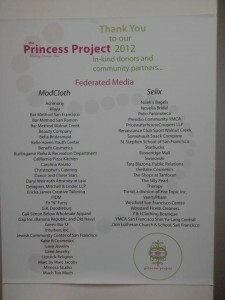 This was my first year being involved with the Princess Project. 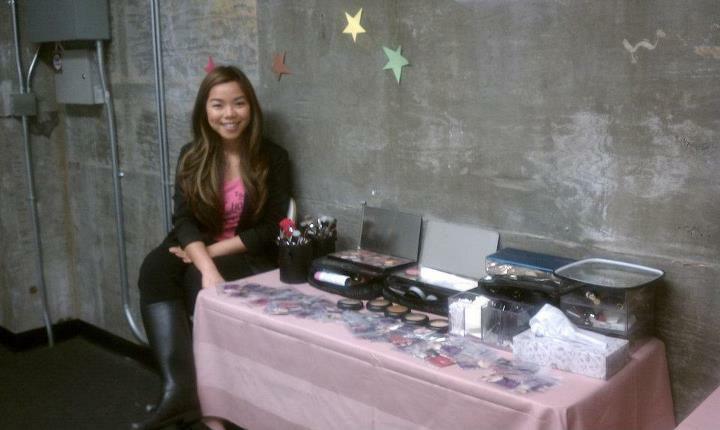 I came on a as Makeup Donations Chair, contacting local makeup companies for makeup donations for the girls to take home. 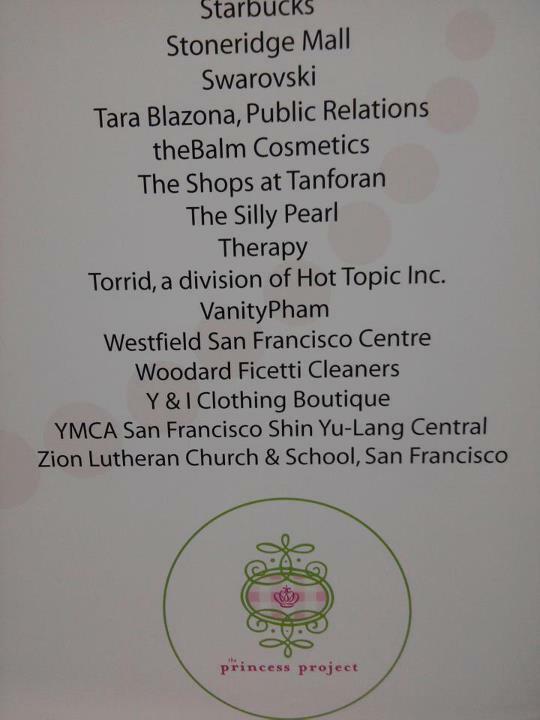 As each girl left, she was given a goodie bag with one full sized makeup item from Benefit, or Urban Decay, or TheBalm, etc… My goal next year is to start the donations drive even earlier so we can get even more products for the girls! What is prom without some makeup and hairstyling? 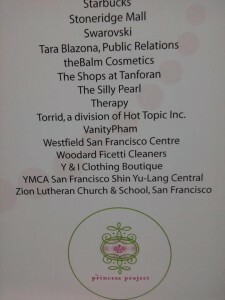 If you have any contact in the cosmetics industry, please get us connected so that I can better help our California girls! 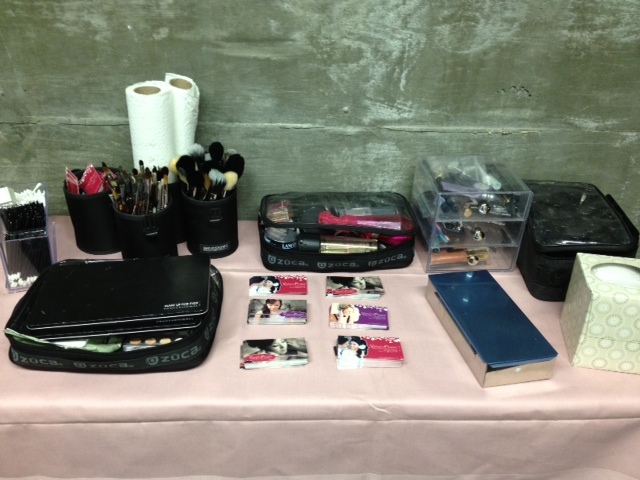 I also set up a makeup table at the actual give away days to give advice on different makeup products, colors, and hairstyles. I had a ton of fun talking to their girls, their guardians, and even other volunteers. 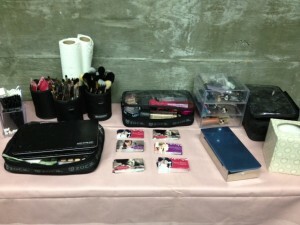 I coordinated other great makeup artist volunteers who also generously donated their time and knowledge. I ended up making a little gift bag with a free pair of eyelashes inside for the girls to take home and use for prom day or practice with. I’ve also left my contact information so the girls can Facebook me with questions and comments. If you haven’t done so, “like” my Facebook page and get the latest updates on Vanity Pham activity. Getting ready for the hundreds of girls who will pass through each day! 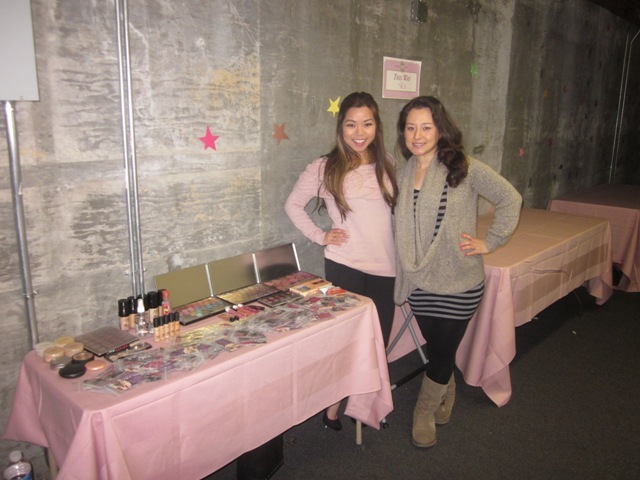 Not pictured are makeup artists Annalise and Lubna who also helped out! 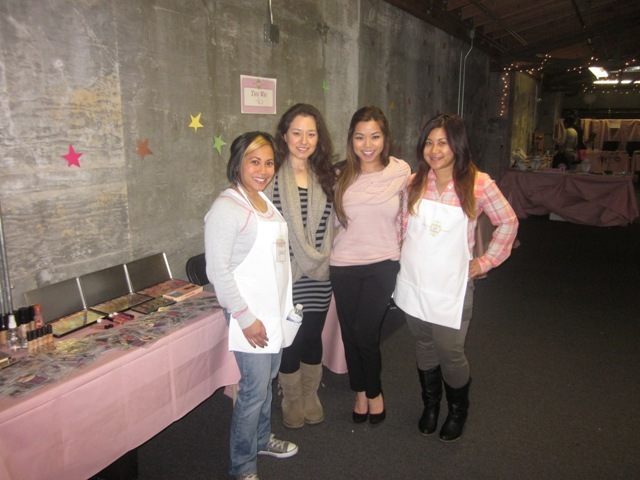 With makeup artist Amy and other Princess Project chairs and volunteers. 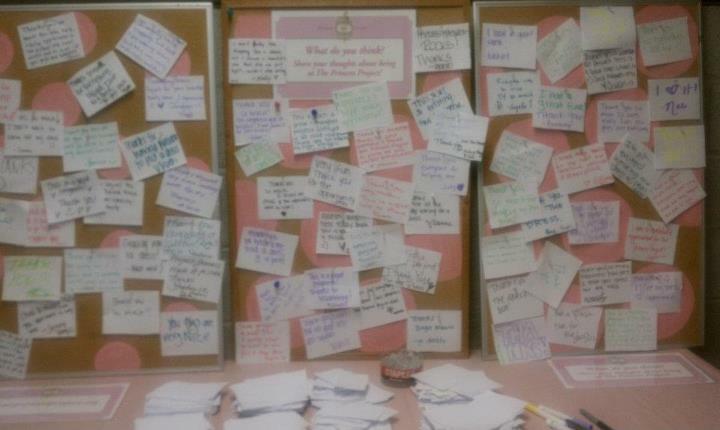 The thank you notes the girls leave behind! If you have a dress in your closet that you’ll never wear again, save it for next year’s Princess Project. Or the time and energy to be a personal shopper volunteer, definitely do it! So tell me, what great organizations have you been involved with? Let’s inspired each other to pitch in and help out!